TOKYO: The Tokyo International Book Fair and its younger sibling, e-Book Expo Tokyo, opened last week at the Big Sight exhibition facility in Tokyo. But for Tokyoites, it’s a schlep out to Big Sight and to make matters worse it was raining. Irritated, wet visitors then found that the e-Book Expo was relegated to the smaller and less prestigious upper hall. Savvy folk with an interest in digital smiled to themselves — this is actually progress. In 2011, the unofficial theme of the e-Book expo was the ostentatious device launch. NEC, Fujitsu, Toshiba and Panasonic had splashy stands showing off their new e-readers and tablets. The four companies ignored the lessons of the Kindle’s success in the US and brought neat devices to consumers rather than an easy way to read a huge range of great books. Corporate Darwinism prevailed and today none of these household names has an ebook presence to speak of. 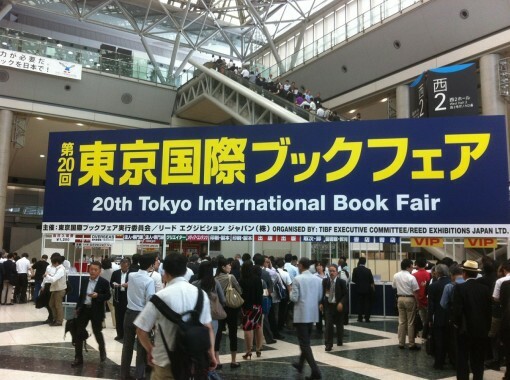 In 2012, the Book Fair and the e-Book Expo were united by a company from each camp. Kodansha and Rakuten Kobo taught the publishing world to sing a song of perfect harmony between print and digital (albeit with the duo crowing: “Destroy Amazon!). It was a glorious, almost hippy experience but the cynics amongst us feared it was a little too good to be true. Indeed, Rakuten Kobo’s subsequent launch of device and bookstore was notable for its misses rather than its hits. Honto, an indigenous Japanese ebookseller, is still trailing Apple and Amazon. The 2013 e-Book Expo was the morning after to the excesses of the past two years. The exhibitors were fewer, their stands were smaller and the iPad lotteries have all but gone. Instead, the real work has started. In 2012, the Japanese ebook industry didn’t even register in “equivalent Kindle time.” Now, it can be placed at circa 2008 of the US Kindle evolution. Amazon and Apple launched their respective Japanese ebookstores within the last 12 months but were both way too cool to dignify the e-Book Expo with an appearance. Amazon is undoubtedly the company to beat given their strength in the sale of print books and their access to Japanese consumers across a broad spectrum of products. Three Japanese companies, though, have established credible ebookstores and will not only survive but may even cause the Seattle colossus a modicum of concern. The first of these companies, Rakuten Kobo, is well known to international audiences. Japanese Internet powerhouse Rakuten acquired the Canadian company Kobo in 2011 and its founder, Mikitani-san, is credited with building bridges with the major print publishers. Kobo was slow to launch Japanese versions of its iOS and Android readers but has now filled what was a gaping hole in its product line. 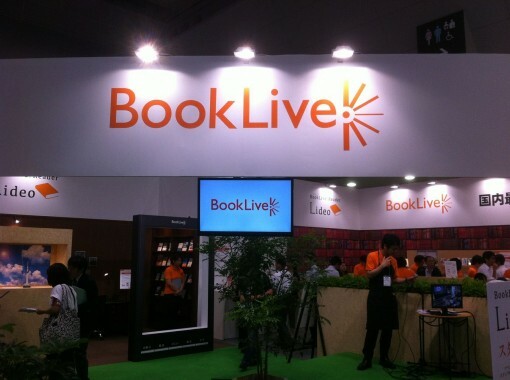 Japan’s BookLive has also been relegated to the second tier of ebooksellers by foreign competition. 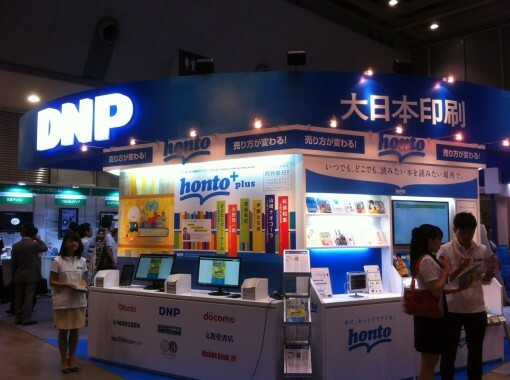 The second and third ebookstores, Honto and Booklive, are offshoots of Japan’s two dominant printing organizations, Dai Nippon and Toppan respectively. Honto has its origins in serving manga to what were, by today’s standards, rather primitive mobile phones. Today it sits at the center of a mish-mash of partnerships, including part ownership of a number of leading physical book chains. On paper, Honto has the potential to develop a game changing combination of digital, new books and second hand books. More likely though are relatively small increments, like today’s announcement that Honto will team up with Nintendo to distribute children’s titles to some Nintendo devices. Booklive is a pure ebook play and comes across as much more focused as a result. It’s announcement for the exhibition opening was a ‘camera’ app that offers book suggestions from smartphone photos of book covers and even famous landmarks. This app may or may not be a hit but at least it shows that Booklive is willing to experiment and engage with its audience. Before we get too carried away with the activities of Rakuten Kobo, Honto and Booklive it is worth bearing in mind that they are still working with relatively small numbers of ebooks. Each of the three now claim over 100,000 titles that are non-manga. This is more than the Kindle at launch in 2007 but is unlikely to increase as rapidly as the Kindle inventory, which reached over a quarter of a million titles by the end of 2008. Japan’s ebook market will progress steadily — it was valued at $740 million in 2012 — but even with the push it is getting from five viable ebookstores it will not match the rocket ship trajectory of Kindle in the US. A frequent contributor to Publishing Perspectives, Robin Birtle is CEO of Sakkam Press and can be contacted at robin dot birtle at sakkampress dot com.